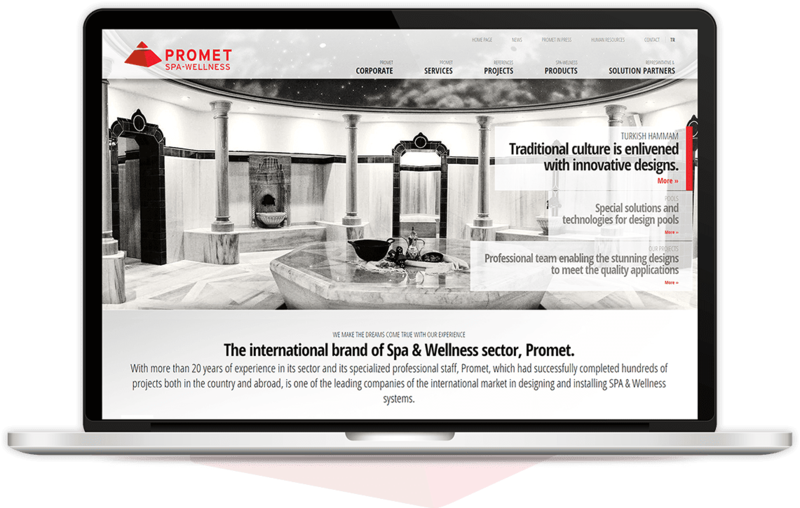 Promet is a designer and constructor international brand for spa, wellness and fitness institutes. 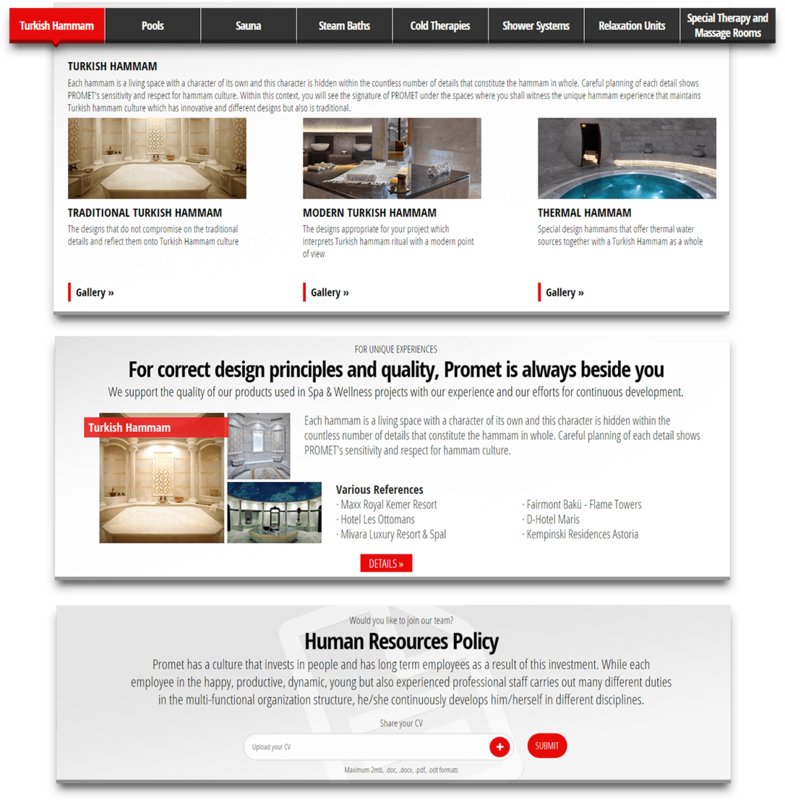 A corporate responsive website design was developed for Promet, to reach the national and international audience. 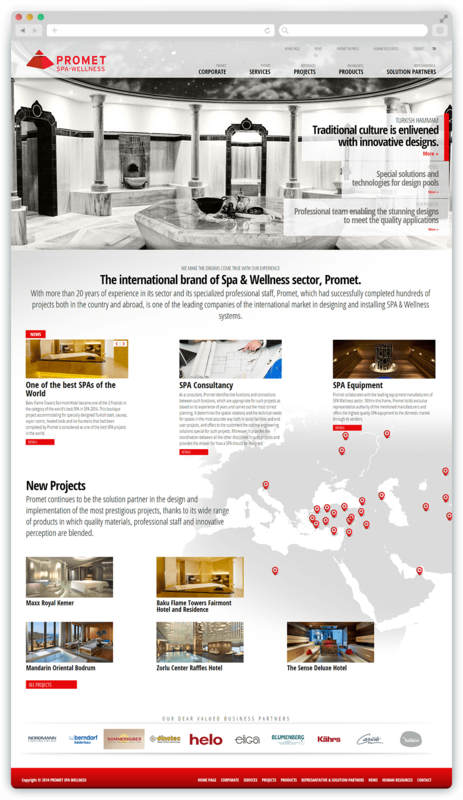 The text content of the website is created in two languages in order to provide the accurate information to target audience and to maintain a virtious settlement for SEO.